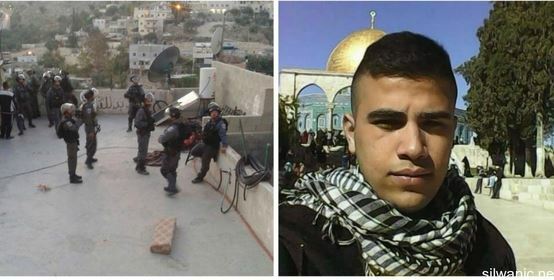 Undercover Israeli Soldiers kidnapped, on Wednesday evening, a Palestinian teenager in Silwan town, south of the Al-Aqsa Mosque, in occupied East Jerusalem.Local sources said the soldiers kidnapped Kayed Yahya ar-Rajabi, 17 years of age, in the Central Neighborhood in Silwan, and took him to an interrogation center in the Jerusalem. The Wadi Hilweh Information Center in Silwan (Silwanic) has reported that the undercover soldiers attacked a group of teenagers, before violently assaulting ar-Rajabi. Silwanic said clashes took place near illegal Israeli settlement outposts in the Central Neighborhood, and that the soldiers fired dozens of rounds of live ammunition. In related news, soldiers stopped a car, belonging to the Ministry of Education, while heading to the Northern Plains area of the West Bank, to deliver the official governmental final examination papers to High Schools in Kardala and Bardala towns. The Palestinian District Coordination Office contacted the Israeli side, and eventually managed to get its Israeli counterpart to contact the soldiers, and instruct them allow the vehicle to pass.